Easy to use full-size pattern with complete details. Kit contains all the parts for one tractor. Tractor measures 17" Long. TJ109 - Flat Bed Trailer Pattern & Parts Kit. Full-size plan with complete details. Measures 26" Long. Kit contains all the parts for one trailer. 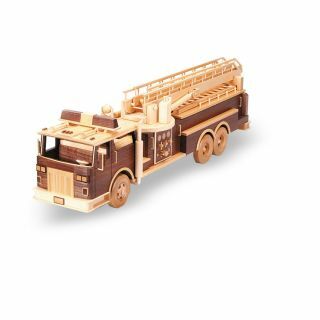 TJ92 - Fire Truck Pattern & Parts Kit. Easy to follow plans complete with details. Kit contains all the parts for one fire truck. Measures 29" Long. 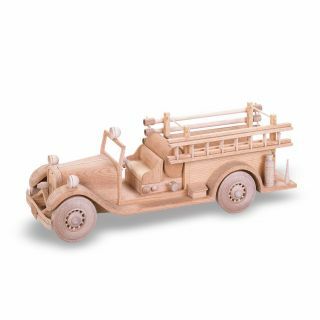 TJ59 - Seagrave Fire Truck & Parts Kit. 1933 classic fire engine. Make it with this pattern and kit. Measures 17" Long. Kit contains all the parts for one truck. The pick up craze started with the 1928 Chevy pick up. Make your replica with the full size plan complete with all the details. Measures 13" Long. Kit contains all the parts for one truck. 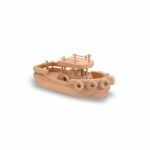 TJ15 - "Salty" Tugboat Pattern & Parts Kit. Easy to use plan complete with details. Measures 15" Long. Kit contains all the parts for one boat. TJ86 - Bi-Wing Airplane Pattern & Parts Kit. 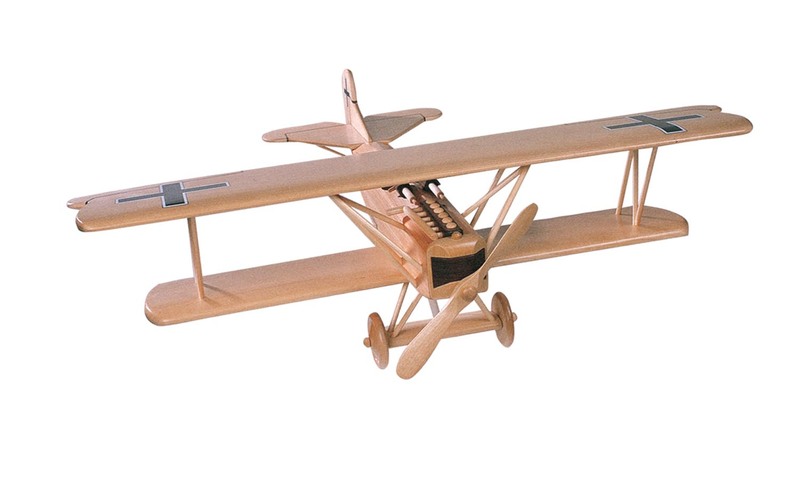 Make your replica of this classic plane from the past with this full size pattern and kit. Measures approx. 24". Kit contains all the parts for one plane. 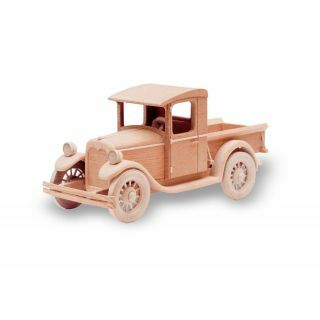 TJ57 - 1931 Cadillac Roadster Pattern & Parts Kit. 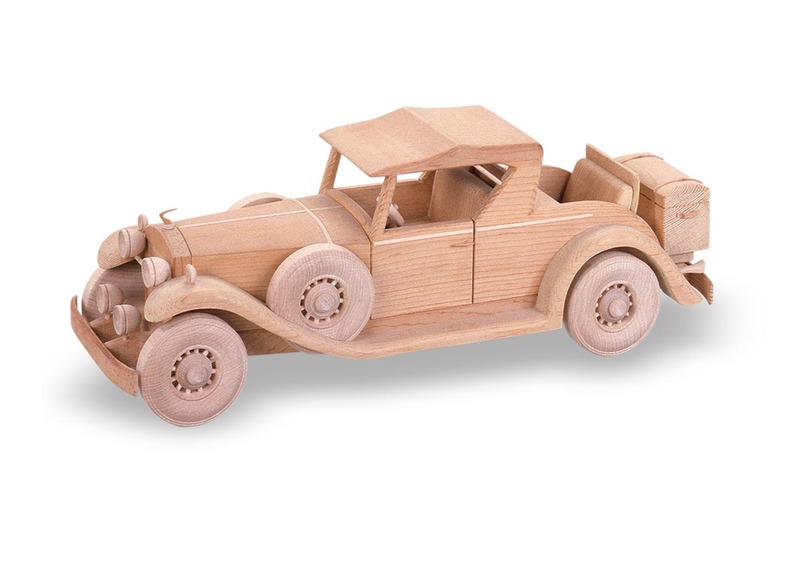 The ultimate sports coupe can be duplicated using this full size pattern and parts kit. Measures 17" Long. Kit contains all the parts for one car. 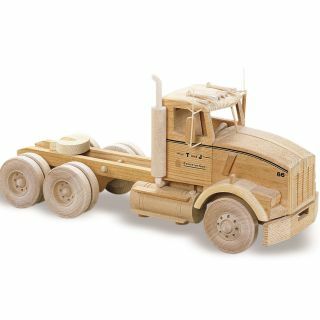 TJ94 - Mining Truck Pattern & Parts Kit. 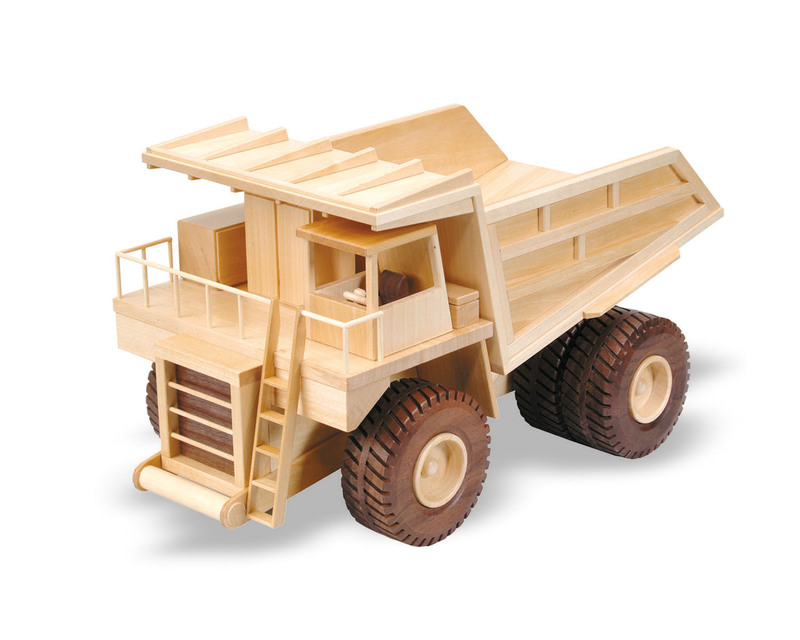 Make your replica of this off road mining truck. Measures 18" Long. Easy to follow full size pattern, complete with details.